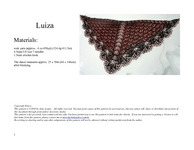 Primavera is a crescent shawl shaped with short rows. 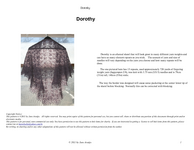 This shawl is worked from the bottom up, and after the lace edging is knit, a shallow body is constructed with reverse stocking stitch and delicate cables. 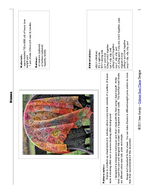 This is a very special shawl that was designed for the awesome Lanafactrix to be her wedding shawl. Outono is a half circle shawl that gets its shape by using short rows. 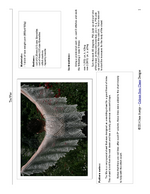 It has a very elegant and unusual lace edging. Verão (summer in Portuguese) is a light and airy stole knit lengthwise in the Shetland tradition (kinda), and it’s patterned on all rows. This is the first pattern from the e-book “Quatro Estações”. 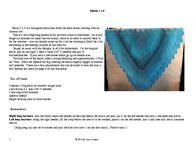 Alohura is a crescent shawl started with a clever tab that will get other knitters intrigued on how it’s started. The third picture from the top shows a close-up of the back neck (tab). Maria v1.0 and v1.5 (the yellow one) are both knit similarly - sideways, from tip to center, then the sides are grafted together. Maria v2 shawl is knit from the neck down, starting with a different kind of tab. 25/07/11 The document was updated to make the instructions clearer (fingers crossed) and to fix each of the glitches stated here and on the KAL thread. To celebrate two years of the Mawelucky Love group we’ll be doing a KAL, please join us. I was heavily inspired by one of MMario’s designs, hence the name with a double P.
This shawl is knit from the neck down. 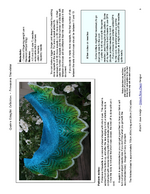 If you have any questions about this pattern, please post them here. You can also browse the FAQ here. June 19, 2015: the document was updated with a better layout, chart and wording.